[Royal Brunei Airlines] Brunei, Here I come! Why Am I going to Brunei? One always need some motivation to travel to another country… be it for the beautiful scenery, non-stop shopping, delicious food… or handsome guys! LOL. Everyone asks me WHY do I want to go Brunei?! They say it’s a place with “nothing fun” and where NS (National Service) guys go for their training. So, here I am, going to prove these people WRONG! To me, Brunei is the place Wu Chun 吴尊 came from, and as a fan of Fahrenheit 飞轮海 and Saving General Yang 忠烈杨家将, HOW CAN I NOT GO, Right? It’s not that I’m hoping to meet him there, but more of wanting to take a look at the gymnasium he had successfully owned and grown. I was hoping that the places we are going to will be near one of the branches, either at Kiulap or Serusop, so that I can pop by during the free & easy time to snap some photos. Besides that, Brunei Darussalam, ‘The Abode of Peace’ is known for its Islamic architecture, Royal tradition and beautiful tropical rainforest (which covers eighty percent of Brunei )too! So all those adventurous trekkers, do check out my blog later on to see what’s fun! Currency: Brunei Dollar (BND) is of the same currency value as Singapore Dollar (SGD). Both notes are accepted in both countries. Language: Bahasa Melayu (Malay). English is widely spoken too! Climate: Daily average temperature range from 22°C to 33°C. 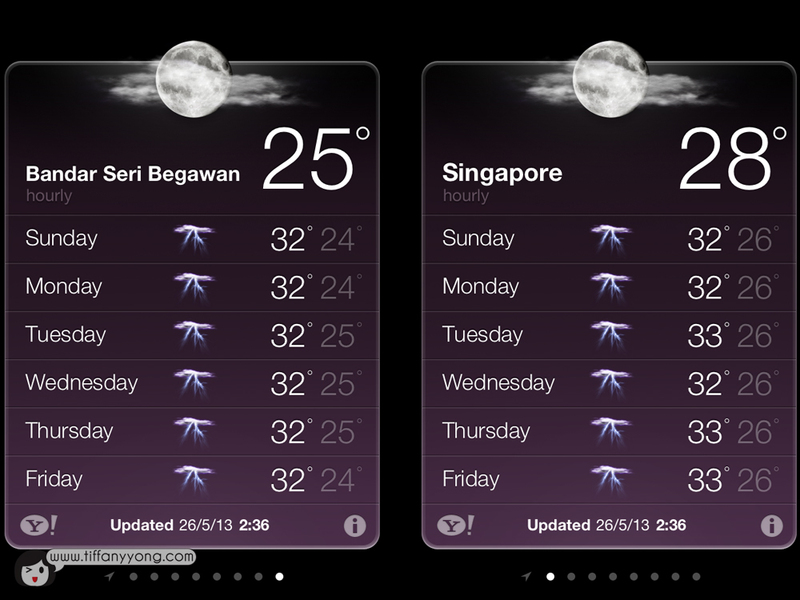 *According to the weather forecast, it seems rather similar with Singapore. Slightly cooler perhaps! Is it gonna be a rainy trip? Clothing: Light, Comfortable Clothing. Modest, non-revealing clothing is appropriate for visiting places of worship, homes, and official buildings. Utilities: Wi-Fi hot spots are widely available in downtown areas. 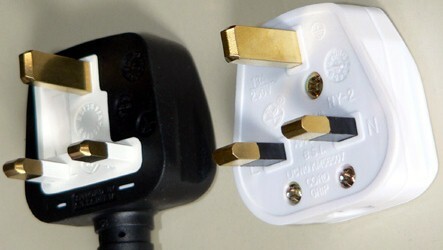 Brunei uses 3-pin British type plugs (same as Singapore) so no need to get a converter! Tobacco and Alcohol: Smoking is prohibited in all public areas. Sales and public consumption of alcoholic beverages are forbidden. So thanks to Royal Brunei Airlines, I get to go on this short 4D3N getaway! I did a little check-list for this trip so that whoever’s planning to go Brunei next time can use it as a guideline! 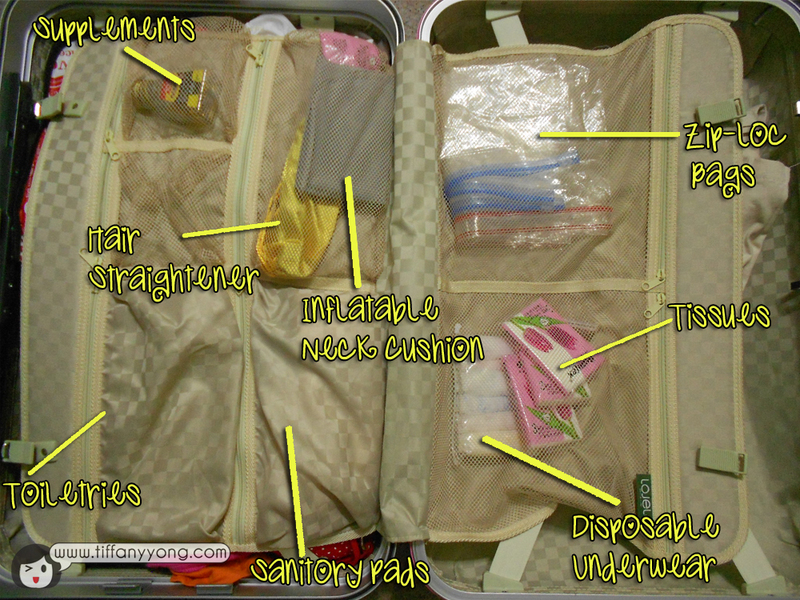 I will usually pack tissue, sanitary pads and disposable underwear in my luggage bag and top up after every trip, so that in any case where I need a sudden change of attire and there are no convenient store nearby, all these items come in handy! For Brunei, it is best not to wear clothes that are too revealing. So no spaghetti-strips shirts, no tubes, shorts/skirts/dresses mustn’t be too short too. Bottoms/dresses with length slightly above knee level ok. So I brought mainly T-shirts, jeans and quarts. You may want to bring swimwear if you want to go snorkelling or diving. I also brought an extra pair of footwear and slippers. Susan was quite worried when she know that I’m going Brunei (but I trust that it’s quite safe!) 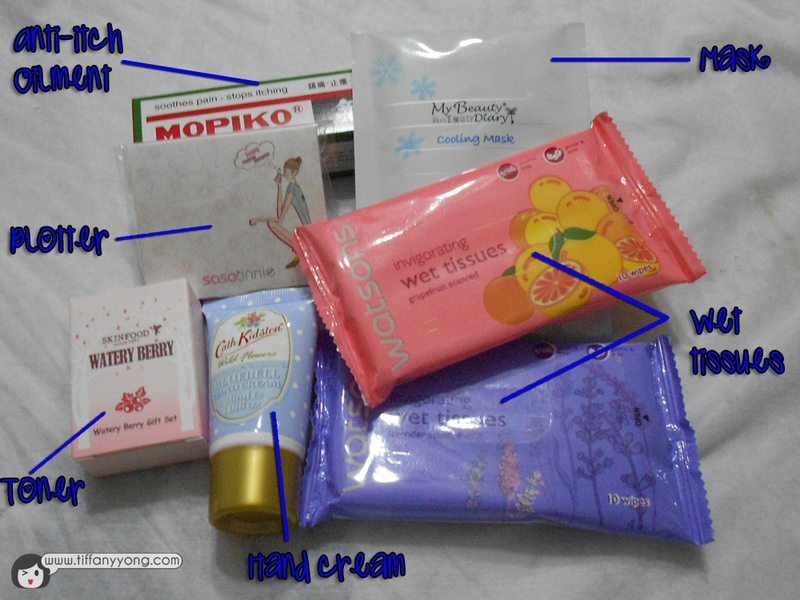 and she gave me these “Must-Have Travel Goodie-Bags”! 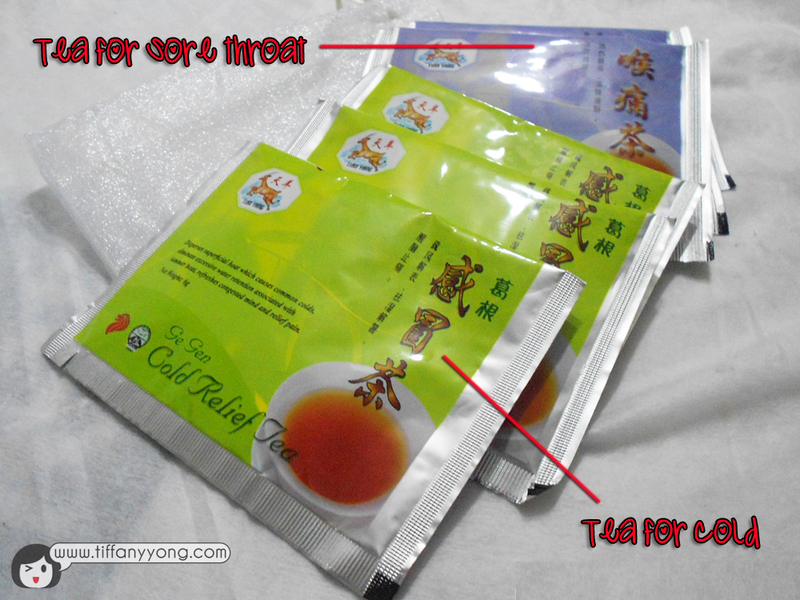 Susan told me how these drinks had saved her life (and money!) whenever she was overseas, feeling sicklish suddenly. “Just get some hot water and drink this! Don’t cause drowsiness and you will be fine the next day!” Yes Susan! Thanks and Muacks muacks! Look at what is inside! 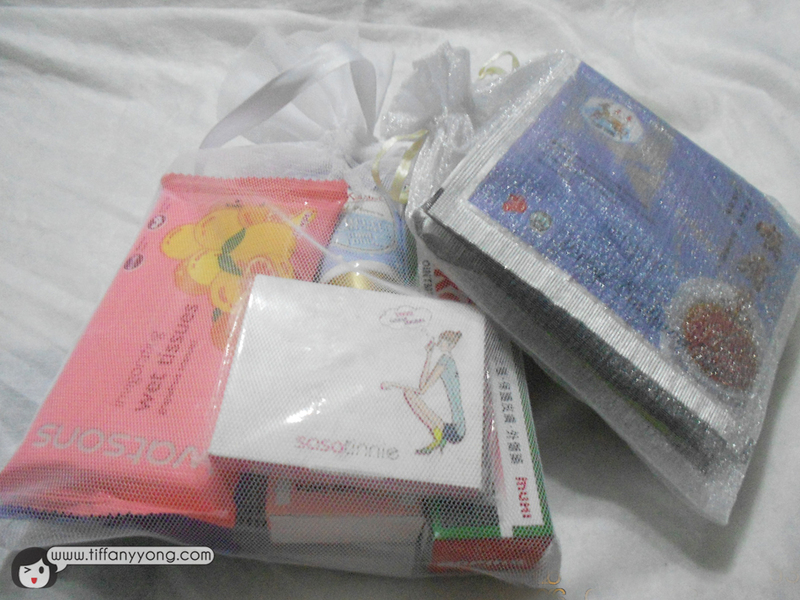 Haha… so thoughtful lor! She basically packed everything for me and made it travel size! Small, compact and handy! Must learn from her! 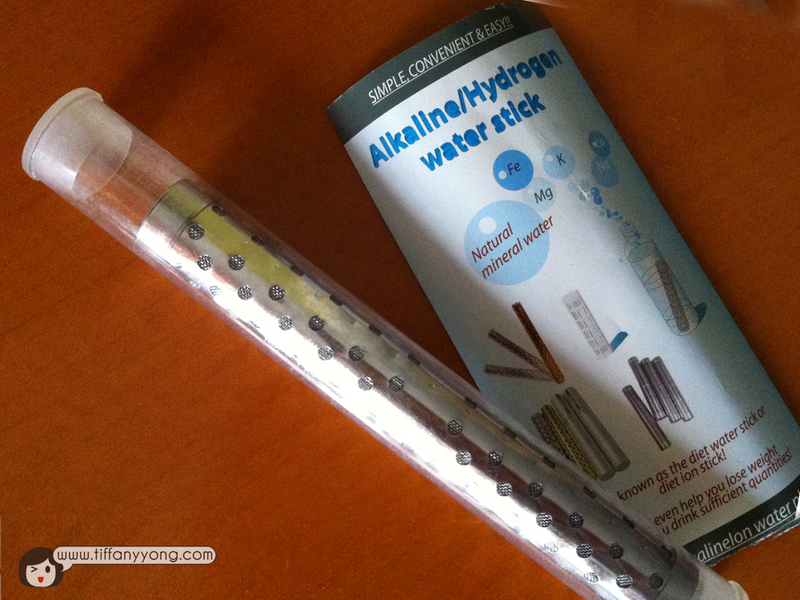 This travel size alkaline stick is something that might help those who have problem drinking water overseas. It’s not really a filter, so you still the bottled water provided by hotels to drink the water. What it basically does is to turn the water into alkaline water. I heard that if you ever get food poisoning or diarrhoea, drink this water and you’ll be fine. Although I definitely don’t hope to get any stomach problem, I will let you if it works that way! Each stick can be used up to 1-2 years! You may like to purchase the stick here. Do help like Royal Brunei Airline’s Facebook Page! Disclaimer: Please be rest assured that even though the trip was sponsored, it does not have any bearing on the content of this post. Opinions stated are genuine and honest. Also note that all sources, information, content, links are valid to change at any time. 8 Responses to [Royal Brunei Airlines] Brunei, Here I come! 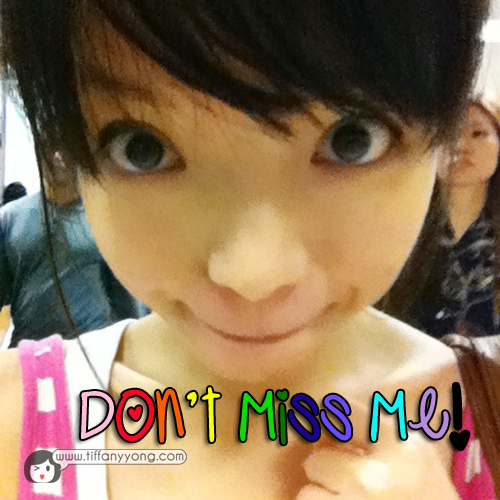 Bring back lots of pics for me to see Brunei ok?